Could we see Jelly Bean in the S3 August 29? Reports emerged Tuesday that Samsung's Galaxy SIII will receive an anticipated Jelly Bean update sooner than expected. TechRadar first reported the possibility of an update early last month, though at the time the rumors pointed to an update coming in late September or early October. Now, it's looking as though Jelly Bean will be seen on the S3 August 29. 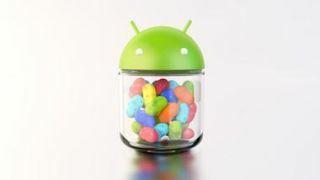 An anonymous source reports the Jelly Bean update is complete and will make its debut alongside the Galaxy Note 2 during a "Samsung press conference" on that day. Samsung reportedly confirmed the Android 4.1 update in July, though wouldn't concretely say whether the update was a go. Rumors continued to pop up about an update release date, with most pointing to the end of Q3 or the beginning of Q4. Are Note, S2 getting Jelly Bean, too? While it's unclear if all Samsung handsets will get Jelly Bean, Galaxy S3 owners certainly will. However, earlier reports also point to the Galaxy SII and Galaxy Note getting the Android 4.1 bump. Tests for the update on Galaxy SII are reportedly holding steady and going well, though Samsung hasn't finalized whether it will bestow Jelly Bean on the device or not. Strong international sales suggest the SII will get the update, though we won't know for sure until later this month. If Samsung passes over the SII, reports point to the South Korean company releasing a "Value Pack" for the handset, much as it did much the same as it did with the original Galaxy S and Ice Cream Sandwich. The same can be said for the Galaxy Note, which is holding solid global sales figures. For Samsung's part, mums the word for now. "We have not made any any announcements about Jelly Bean upgrades to existing products," said Teri Daley, a Samsung spokeswoman. She explained upgrades are typically controlled by carriers "since they need to test the modifications to their network first."